This is the perfect Valentine’s Day present for single Fortnite players. Valentine’s Day is coming early to Fortnite: Battle Royale. 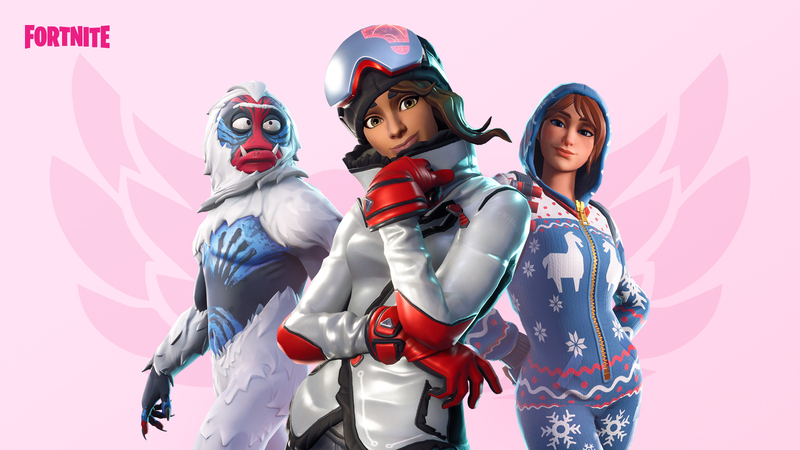 Epic Games just announced the Share The Love event, which begins tomorrow and runs through Feb. 27. The event will include special rewards and challenges for players over the next few weeks. Anyone who supports a creator with a Creator Code between Feb. 8 and 22 will be awarded with the free Cuddle Hearts Wrap when update v7.40 is released. Additionally, Overtime challenges are coming in update v7.40—players who complete these challenges will earn five new rewards, such as the Valentine Wrap and Vines Contrail. Other rewards for Battle Pass owners include new variants for the popular Trog, Powder, and Onesie skins. Double XP will be available during this weekend, first from Feb. 15 to 17, and then from Feb. 22 to 24. And the Share The Love competitive series will debut in the v7.40 update, too. With the Share The Love event, Epic is making sure to give Fortnite players a lot to look forward to around Valentine’s Day—even if you’re single.